‘House of Lords’. 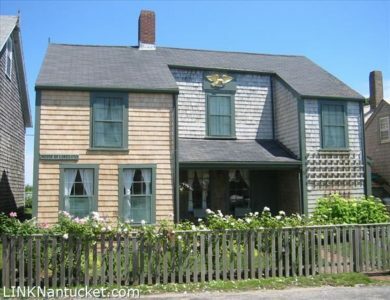 Classic 1753 whaling cottage with generous living space on a historic, ‘Sconset street. Highly sought after location right in the heart of the Village and steps to the beach. The house backs on to Front Street, a shell-covered lane favored by local landscape artists and offers a peek of the ocean from the second floor bedrooms. Rare opportunity to purchase a cottage that has been owned by the same family since 1959.